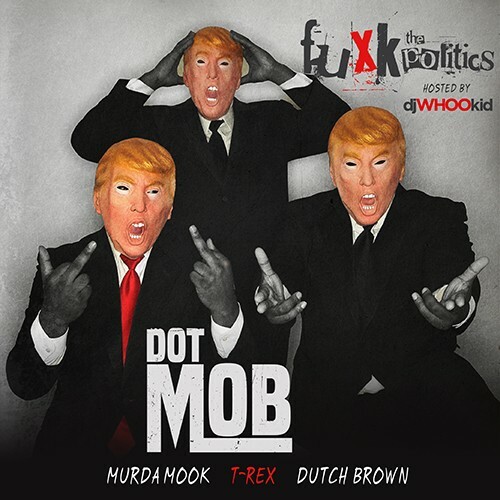 DotMob's Murda Mook, T-Rex & Dutch Brown have come together in a formidable way over classic Hip Hop tracks on their new mixtape Fuxk The Politics hosted by DJ Whoo. This project also features verses from Cooley Cash, Chayna Ashley, Dan Barz, Brillo Henny Hustle, Pop $hit & Great One. Follow @IndyTapes, @DJWhooKid, @MurdaMookez, @RealDealDutch & @yHateTRex!